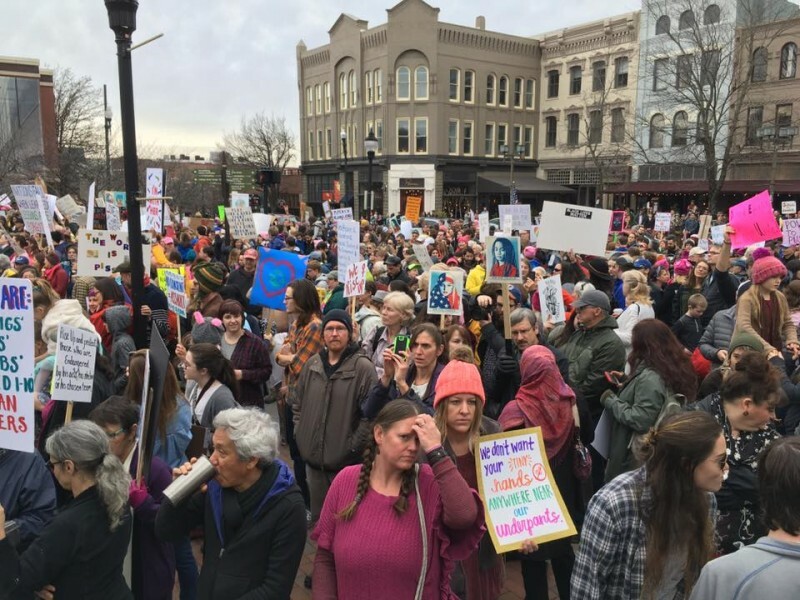 10,000 take to the streets in Asheville Women's March | Fight Back! Chanting "Forward together, not one step back!" 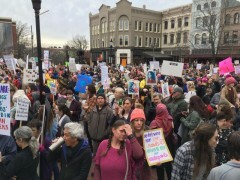 a crowd of approximately 10,000 people, predominantly women, rallied and marched through downtown Asheville as part of a national day of action following the inauguration of the billionaire misogynist and bigot Donald Trump. Speakers from Our VOICE, Tranzmission, Planned Parenthood and others told of the need to resist attempts from the new far-right administration to roll back progress on issues of women's health and services, abortion rights and LGBTQ rights. Many present spoke to the importance of keeping the pressure on and building a broad mass movement to oppose and defeat the Trump agenda.